Every Year, nearly 200,000 people are diagnosed with spinal compression, which causes significant pain in the spine and surrounding back muscular structure. Osteoporosis usually causes spinal compression and mostly affects the aging population, but can also be attributed to other diseases of the bone, cancers, tumors, long-term steroid use, herniated discs, and arthritis. While there are treatment options for spinal compression, like physical therapy, anti-inflammatory, and pain medications, these choices usually offer only temporary relief from the discomfort associated with the disorder. Individuals suffering from spinal compression have a difficult time bending, lifting, carrying heavy objects, and sleeping as the pain affects their daily activities and lifestyle, inhibiting their abilities and quality of life. The physical symptoms of spinal compression are a hunched-over, slouching appearances, and a shorter stature, as the spine shrinks. The good news is there is an effective treatment called Vertebroplasty that shows promising results for many patients that have undergone the procedure. 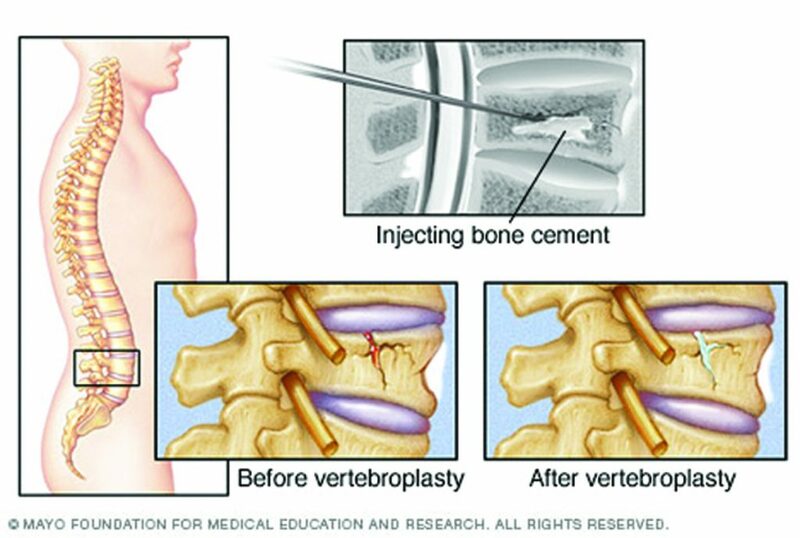 Vertebroplasty is a minimally invasive procedure performed under image-guided fluoroscopy. During the procedure, the physician will inject an orthopedic medical-grade cement-like material into the affected vertebrae to build the bony portion backup, allowing it to support the spine strongly. Additionally, sometimes a balloon will be inserted in between the vertebrae and injected with the same cement if there is not enough of the patient’s natural bone present. Vertebroplasty will create a stable fulcrum for the spine and relieve the supporting muscles that have tightened up while working in overdrive trying to protect the back from further injury. Approximately 75% of patients report a more pain-free lifestyle, regained flexibility, and mobility. RAVE, Radiology Associates of Venice & Englewood, understands the importance of providing the best technology and the most advanced diagnostic tools for their patients, and their physicians are experts in Vertebroplasty. RAVE is a radiology practice, which has been active for over 30 years. 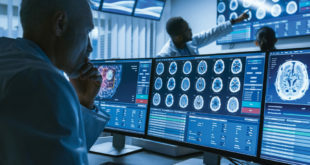 They currently consist of 10 board certified radiologists, many of which have postgraduate fellowships with subspecialty training, all of whom have years of full-time experience. There are over 90 health care professions working with RAVE to provide the best possible radiologic services in Sarasota County. In addition to their personnel, they have some of the best radiologic imaging devices available. Superior visualization makes your diagnoses accurate and timely, preventing potentially dangerous delays in initiation of your therapy. At RAVE, you can have confidence you’re getting top-notch professional assistance in your diagnosis and care.